Hey there! 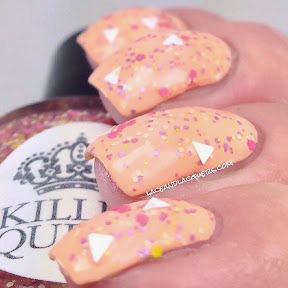 Yesterday I did part of the newest Killer Queen Varnish Spring Collection, you can check it out here. Today, I'm finishing the rest of the collection today with the glitter toppers. Check them out after the jump! 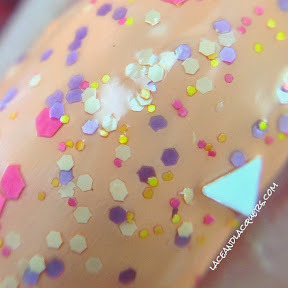 Electric Love is a glitter topper that "contains white triangles, micro and small bright pink hex glitter, micro white hex glitter and small lilac and bright yellow hex glitter". 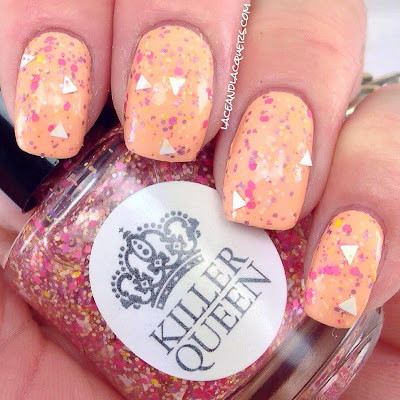 This topper is pretty much a fun springtime in a bottle, don't ya think?! I did 2 coats of Electric Love over Pure Ice Dollface. It had a pretty good glitter coverage per coat. I could of got away with just 1 coat, but I had to fish a little bit for the triangles. No issues with dry time with this one. 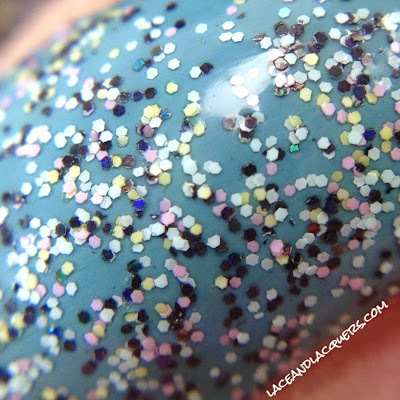 Digital Witness is another glitter topper filled with microglitter - "holo black hexes, matte mint green hexes, and matte chiffon pink hexes". This cam be worn alone in 3 coats, but I chose to layer it over another polish which still looks awesome! I did 2 coats of Digital Witness over Zoya Rocky. I didn't run into any issues with this topper. It had a nice application that was easy to work with and had a nice coverage. I can see how this could be pretty close to full coverage at 3 coats, I worked lightly. No issues with dry time. So there ya have it! Again, if you missed the first part, find it here. 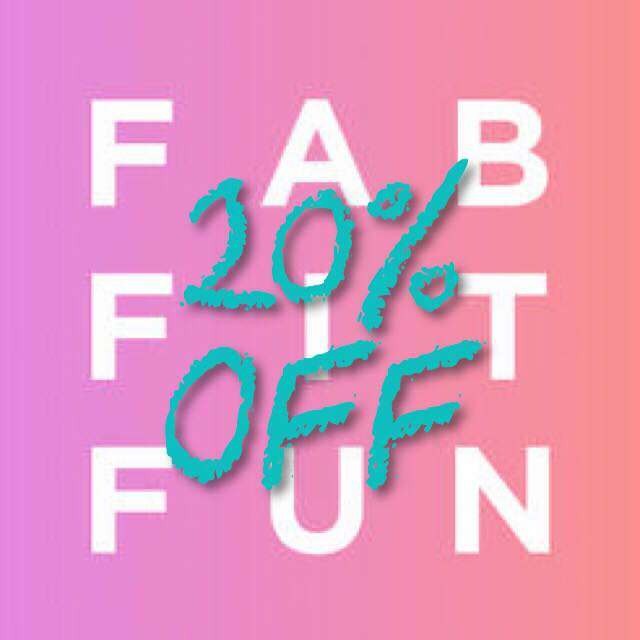 You can also use code SPRING at checkout in her Etsy store for free shipping on $20+! 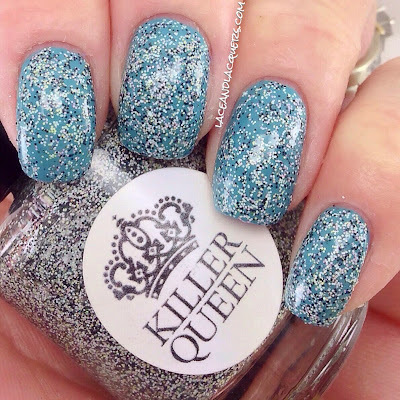 Which glitter topper is your favorite? It's a tossup for me! They're both fun and unique.